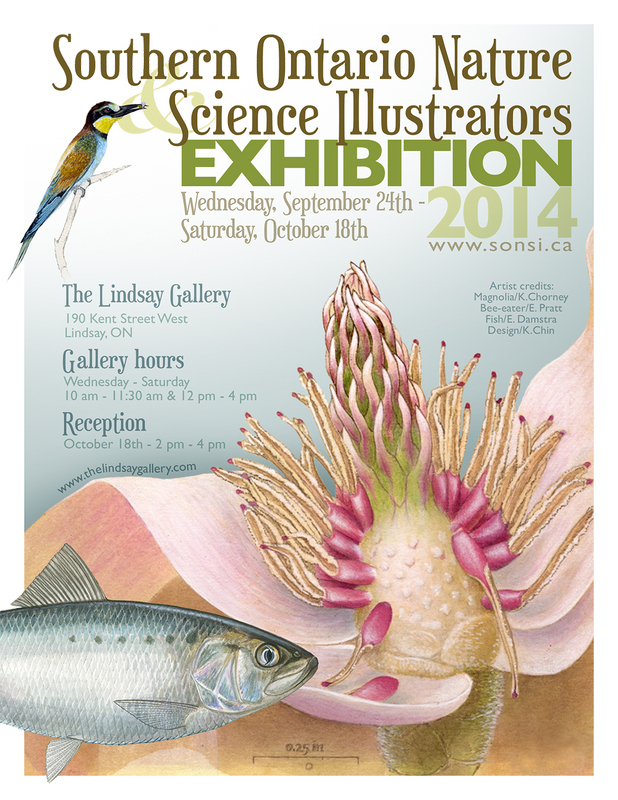 Beginning today,* The Lindsay Gallery in Lindsay, Ontario is featuring an exhibit of artwork from members of the Southern Ontario Nature and Science Illustrators. I am exhibiting five works, including the fish in the poster above. Please join us at the Closing Reception October 18! *Please note that the Gallery hours have changed since we originally organized this exhibit. The poster above has the correct hours and dates.